If you want to make a distinctive impression on your guests, allow Martin’s Catering Services to handle your event. They can make your dream wedding meal come true. With almost 50 years of experience in the wedding industry, this company can make your party or reception the best it could be. The reviews of this catering service are nothing short of raving. They all tirelessly thank the servers and the masterminds behind the scenes for taking over all catering and serving responsibilities so the couple can enjoy their big day. 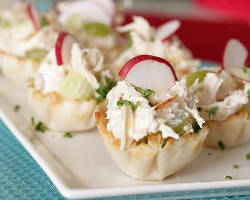 Wedding catering companies in Baltimore often specialize in one type of food, like Mexican food or Italian catering. Jay’s Catering is so unique because they have more menu options than any other caterer in the area. They have hors d’oeuvres to serve your guests when they arrive at the reception, and they have endless dinner options that include everything from BBQ to sushi to seafood and crawfish. For a formal affair they have more refined menus or if you want home cooking, they can accommodate for that too. Our focus is preparing local, seasonal food on-site from scratch. Day of planning, time line creation and rental advising is part of what we do as well. We find out what you'd like to serve and how, then an on-site visit will be scheduled to determine rental needs. We also provide staffing! 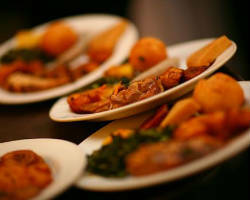 We've catered at lots of places and can bring that experience to helping you find a venue as well. The Pantry Catering is a high quality Maryland catering service that only offers the highest quality ingredients. They use fresh and locally sourced ingredients to make every dish one you will remember. They offer a seated dinner menu, two different station menus and a buffet or family style dinner. This company is full service meaning they specialize in preparing, presenting, and serving your meal with the utmost care. Their menus are inspired and gourmet that add an air of sophistication to your wedding reception. Charm City Catering works with each and every one of their clients to create a menu that reflects the style of your event and your budget. 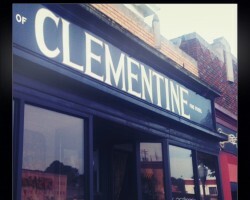 They make delicious dishes of every kind so you know you’ll be serving something you love. 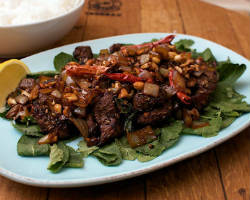 In addition to their menu of entrees, they also serve a vegetarian option as they think of every client’s exact needs. For a fundraiser lunch or a large traditional wedding reception, these caterers provide an affordable and exceptional service. Copper Kitchen knows how important choosing the right menu can be for an event. Matching the style of your event as well as the tastes of you and your guests is important and what this company focuses on when they are hired. They work closely with you to make the most personalized and successful menu possible. While their services are not cheap, they are not too expensive either so they fit into the budget of most couples. For a custom menu everyone will love, this caterer is the best. 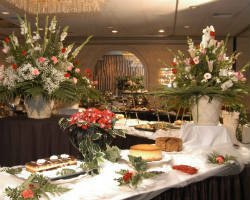 Zeffert & Gold Catering is at the top of award winning catering Baltimore, MD. This company has been recognized as the best in the area for the past 5 years running. 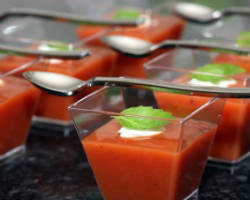 The chef behind their culinary specialties is poised to prepare a personalized menu to fit your tastes and event style. This company has been so successful because of their attention to detail. 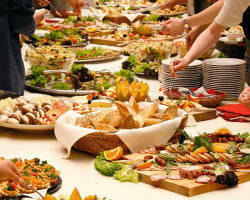 When you don’t need to worry about any aspect of the catering on your big day, the whole event becomes less stressful.